When Frontera Fresco opens in Norris University Center later this month, it will stand as the latest change to the 40-year-old facility. This school year, a collision of forces — an expiration of contracts, feedback from student surveys and University reviews of business models — is driving the remodeling and revamping of various parts of Norris, especially on its ground floor. The improvements, billed as enhancements to the student center’s functionality, range from an upgraded selection of dining options to additional bike racks to expanded printing and copying services. But behind the “Pardon Our Dust” signs and plastic coverings, Associated Student Government and the University have been collaborating to forge a long-term solution that could make those renovations obsolete. In March, an outside consulting firm launched a comprehensive evaluation to generate architectural renderings and a financial analysis for three scenarios: further renovating Norris, retrofitting an existing building such as the Jacobs Center or constructing a new student center. In an interview with The Daily this month, University President Morton Schapiro all but assured the University’s commitment to major changes to the student center experience. Within Northwestern’s about $2.5 billion list of capital projects for the next decade, Schapiro said a placeholder north of $100 million was allocated for student center improvements, although no resolution has been reached as to the form the expenditure will take. The heightened attention surrounding Norris’ future dovetails an ASG-led initiative dating back to 2008 and deliberate action NU administrators have taken to commit resources to the project. After surveying NU students about Norris and reviewing previous student center reports, Patricia Telles-Irvin, vice president for student affairs, decided with Payne-Kirchmeier and top Norris officials to prioritize the needs assessment. The result is a partnership embraced by both ASG and University officials — and a comprehensive effort that may have far-reaching implications for future generations of students. Washington, D.C.-based Brailsford & Dunlavey, the consulting firm spearheading the project, has been conducting surveys and interviews with students and faculty since March. At the end of November, consultants will consolidate results from another round of their work and bring in architects who will collaborate with students to test and design the three concepts. In March 2013, the results will be given to Telles-Irvin, who will share them with the University Board of Trustees Student Life Committee. Schapiro and University Provost Daniel Linzer will also wield heavy decision-making power, and NU administrators know they need to act on one of the options, Payne-Kirchmeier said. That decision could reflect a patchwork of options, Payne-Kirchmeier said, adding that no single solution is being written off from the outset. With the needs assessment underway and any major renovations still several years down the road, NU administrators have been identifying smaller, short-term solutions geared toward improving the student center experience for current students. In addition to the construction of Frontera Fresco, Norris officials are considering adding postal and shipping kiosks on the ground floor, said Amy White, interim executive director of Norris. Norris officials are also hoping to install a printer adjacent to the Dell computer lounge on the first floor, which would use the same printing and payment technology offered at University Library. Additionally, U.S. Bank will take over the former FedEx location by spring and offer more services to clients by constructing offices, The Daily reported earlier this month. In 2005, Brailsford & Dunlavey conducted a similar needs assessment that eventually led to the installation of Norbucks and the renovation of Norris dining facilities. The needs assessment revealed that Norris lacks space for student groups, is not functioning as a social hub and suffers from an outdated design and inadequate facilities. The report’s dismal findings mobilized ASG members to further examine how the student center experience could be improved at NU. ASG’s efforts officially took hold in 2008, when then-ASG president Neal Sales-Griffin (SESP ‘09) oversaw a research project to scout out solutions for the problems plaguing Norris. During the term of subsequent ASG president Mike McGee (Communication ’10), a formal team headed by Ash Jaidev (Weinberg ’12), then a member of ASG’s Student Activities Finance Committee, contacted peer institutions to determine the locations of their student centers, the range of student services offered and whether student center functions spread across multiple buildings or were concentrated in one. ASG formally unveiled the New Student Center Initiative in February 2010. “There needed to be some sort of strong and consistent student voice that was consistently arguing for the need for improvements to our student center functionality on campus, either in the creation of a new building, in the form of existing renovations to Norris and every option in between,” Jaidev said. The structure of the NSC Initiative was twofold: a grassroots campaign to publicize the issue to the student body, followed by a push to garner the support of NU administrators. During the 2010-2011 academic year, members knocked on the doors of students’ dorm rooms, conducted surveys, organized focus groups and hosted fireside chats to raise awareness of the campaign and gauge student feedback. Members of the NSC Initiative also circulated a petition among students for a new student center and collected about 1,200 signatures. The petition’s primary intent centered on creating direct conversations with students about the issue rather than maximizing the number of students who signed it, Jaidev said. After synthesizing the initiative’s data, students concluded the best solution was the construction of a new student center in the Garrett parking lot on Sheridan Road, a $95 million project. In its proposal, the NSC Initiative lobbied for additions including a grocery store, movie theater, bowling alley and black box theaters. It additionally advocated for student services such as the Study Abroad Office and Office of Fellowships and Undergraduate Research to be located in a new student center. The proposal also discussed converting existing spaces on campus, such as the Jacobs Center, into a student center, a $65 million venture. The initiative pinned the renovation of Norris without adding any space at $45 million. Students presented their proposals to the University Board of Trustees in four meetings from 2010 to 2012, each time pressing for a slightly refined solution. The recommendations successively garnered more approval, with Jaidev labeling last spring’s meeting as the most productive discussion. “I trusted the trustees understood the issue and were willing to take this far more seriously than we ever had in our history,” Jaidev said. From its inception, the NSC Initiative marked the first organized effort to prioritize the student center experience at NU. When Claire Lew (SESP ‘11) assumed the ASG presidency in 2010, she cast the project as a central tenet of her administration. At its core, Lew said, the initiative hinged on resolving two central problems: the absence of a central collaborative space on campus and the inability to vastly expand Norris. She pointed to Dance Marathon — which takes place in a tent outside Norris — to highlight how NU facilities cannot contain the students they aim to unite. 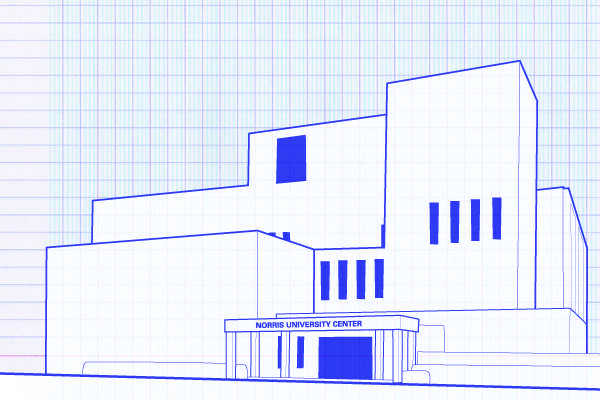 Norris’ failure to house all student groups may also fragment NU’s sense of community. 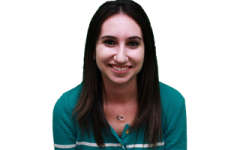 Amalia Namath, a Northwestern Community Development Corps co-chair, said more collaboration could be encouraged among different student organizations if the student center were able to accommodate all of them. The club shares an office with Northwestern to Benefit Special Olympics, which Namath said creates clutter while NCDC prepares for huge events such as Project Pumpkin. Other student groups, particularly those in the theater community, could benefit from black box theaters that would allow for easy setup before productions, Dolphin Show president Rachel Birnbaum said. The organization’s large cast size means they are unable to hold rehearsals in Norris and makes booking rooms in Kresge and other locations difficult. Additional storage space in Norris would also help the group store items in the short term when driving to its main Green Bay Road unit isn’t feasible, the Communication senior added. “We end up having to throw away a lot of our components because we have no place to store them,” Birnbaum said. Jaidev said he believes the third-party assessment, coupled with the strong support base the NSC Initiative solidified, will form a powerful combination in the eyes of University administrators and trustees to advance real reform. In 2005, following the first needs assessment, no similar coalition existed, he said. After Jaidev graduated in the spring, he entrusted the project and its goal to David Harris, the current ASG vice president of services. The SESP junior, who has worked on the initiative since his freshman year, said the effort no longer exists as a formal organization. Instead, he said, successful appeals to NU trustees have eliminated the need to persuade other stakeholders of the significance of the project. Harris emphasized that ASG has always approached the NSC Initiative from a forward-looking, long-term perspective. The organization is confident the importance of a new student center will be reiterated through the current needs assessment, he said.